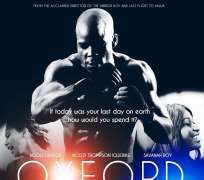 In a remarkable first for a Nollywood film Obi Emelonye a lawyer-turned filmmaker from London premieres his small low-budget, boxing-themed movie Oxford Gardens at the British Academy of Film & Television Arts (BAFTA) HQ. Despite a cinema tradition of over 60 years and recent strides in diversity and equality, a Nollywood film has never shown at BAFTA HQ. Obi Emelonye, who has been called ‘...the future of African cinema..' by CNN and has been profiled on the iconic series CNN African Voices ( http://t.co/t1djoX52 ) breaks down barriers in this remarkable first for both Nollywood and BAFTA. The eagerly anticipated European Premiere of this NAFCA multi-nominated boxing themed drama takes place Friday30th Sept 2016 on the eve of Nigeria’s 56th Independence celebrations on the UK’s most prestigious private screen, the Princess Anne Theatre. In the aftermath of last season's controversies surrounding the lack of diversity and inclusivity at both the OSCARS (#OscarsSoWhite) and BAFTA (#BaftaBlackout); and with media headlines such as ‘If the Oscars’ record on recognizing minority talent is bad, the BAFTAs are worse’, ( https://goo.gl/bKxm82 ) is this Premiere a milestone for how far the mainstream has come to opening itself up to ethnic minorities? A few weeks after the prestigious Toronto International Film Festival featured a bouquet of films made in Lagos, Nigeria, a boxing-themed African film makes it to the home of British cinema in a move that mirrors a growing acceptance of Nigerian cinema into global cinema culture. Oxford Gardens is an inspiring love story wrapped in boxing gloves. Julius (Ngoli Okafor) is a broken, down-­on-­his-­luck ex-­boxer, living his life on the edge, but in desperate search of redemption. Munachi (Ngozi Thompson Igwebike) is a pretty, bubbly young girl carrying a dark secret. A chance meeting on a park bench in Oxford Gardens one summer afternoon sets in motion an unlikely friendship and an uplifting journey through their respective fears. Oxford Gardens stars gorgeous model turned Nollywood movie starlet Ngozi Thompson Igwebike alongside legendary ex Golden Gloves champion and the internet’s most downloaded male model, now tuned actor Ngo Okafor who is jetting in from LA to attend the European Premiere. Together they deliver knock out performances that helps set Oxford Gardens apart in the ever evolving new Nollywood movie landscape. A thrilling glamorous red carpet night will mark a new zenith in new Nollywood premieres with Tunde Ogungbesan, BBC Head of Diversity, Inclusion and Succession and other top industry executives in attendance. SCREEN NATION MEDIA - Marketing & Distribution Consultants for the biggest new Nollywood film premieres in the UK, Nigeria and Ghana.